Introduce yourself and help us get to know you. Feel free to talk about anything and everything in this board. Just keep it clean please. This board contains all our competitions and giveaways. All prizes kindly donated by our sponsors. If you have a giveaway you want to run yourself, you can do it here. Use this board to promote yourself if a solo artist, or your band, free no strings attached. Spammers will be banned immediately. Got a Gig or Event coming up? Then please post it here and let the world know about it. Remember to add as much info as possible, including any links, dates, information about the venue etc. For you budding photographers. Taken some pics of musicians in action, then why not post them here. Note: Pics must be taken by you, and don't post other peoples copyright material. Post songs you have recorded here, from Youtube, Soundcloud or other, post them up for all to see. Post your own recorded cover songs from Youtube, Soundcloud or other. Post them here. and share them. Post whatever song is on your mind from Youtube, Soundcloud or other here. Come check out what Companies are part of the GG Community and see what they have to say about their products! Give us some feedback on your gear, good or bad, let us know what you think of it. Turn up the volume and lets get this party started! Discuss anything that has to do with amplifiers here! Any and all bass discussion goes in here. in Oops I did it again . .
Plug your bass and turn up the conversation! Discuss anything that has to do with Bass Amplifiers here! Turn on the Effects. Chat about anything that has to do with Pedals, Pedalboards! here. Amps prohibited. Stay unplugged here and let the discussion resonate. Discuss: Guitar Strings, Picks, Capos, and Everything else here! Post photos of your Guitars, your Amps, your pedals and pedal boards. Lets see them. in Re: My BlackWolf Rig! Post here if you have any lost or stolen gear, and I'll do my best to share it on Twitter / Facebook etc. Discuss anything Digital Audio Workstation (DAW) related here. Share or request tips advice, etc. 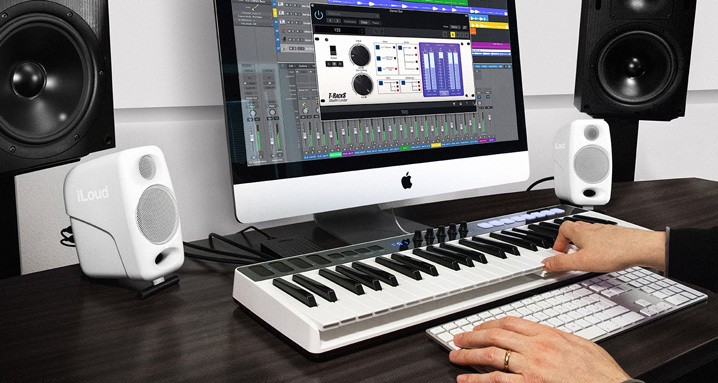 Share tips, request advice on all aspects of recording your tracks, including software, and hardware interfaces. in Why a board for mixing? Questions regarding desktop or laptop computers, hints, tips, troubleshooting can be discussed here. Discuss anything Windows, Mac, Linux etc here. Smartphone and tablet including app discussions can be posted here. Learn how to make Guitar Pedals and Guitar Picks here! The DIY or Do It Yourself Board! in Re: Good starter drums? Tips, Tricks and advice for drummers. in How did you learn drums? Post photos of your Drum setup here. This is for selling your unwanted items, such as Guitars, Amps, Pedals, Drum kits and Accessories. Looking for items, such as Guitars, Amps, Pedals, Drums and Accessories. Then post your request here. Here you can post about your gear which you have listed on ebay. Give it a bit of an extra nudge. give us some info and leave a link to the item(s). Looking for a new band member, guitarist drummer etc. Post the details here, you never know. If you are a budding musician looking to join a band, then post you details here. Looking for someone to help the band on the road, technical crew etc, then please post your details here. Fancy being a roadie, or have experience on the technical side, ie lighting sound, stage setup etc. Please post your details here.